Life insurance helps ensure that the family and loved ones you leave behind are not financially burdened if you die unexpectedly. One type of life insurance is whole life insurance whose benefits are significant not only for beneficiaries but also for you while you are living. 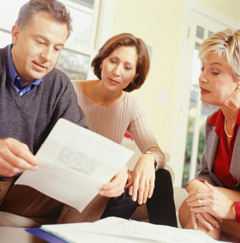 What are the Benefits of Whole Life Insurance Plans? Whole life insurance policies are guaranteed for life, regardless of age or health. The premiums never increase, and death benefits never expire. Once you lock in your rate– that amount will never increase. So you can budget each month accordingly, without having to worry about a rate that fluctuates based on the stock market and economy. While these advantages make many people select a whole life policy, there is one other benefit that is unavailable with term life insurance policies – the ability to accrue cash value. Each time you pay your whole life insurance premiums, your policy gains cash value. For example, with The Whole Life Plan1 from Gerber Life, you can choose a coverage amount ranging from $25,000 to $150,000. Over time, the policy builds guaranteed “cash value,” providing you or your loved ones with a source of immediate cash if needed, as long as premiums are paid. Should you experience a financial struggle or become unemployed, the cash value can help temporarily cover your life insurance premiums, or you may borrow against the cash value of your insurance policy. The loan accrues interest, but you are borrowing from yourself – not from a bank. Depending on your finances and retirement accounts as you age, you may decide that you no longer need the face value of your whole life insurance policy, and may instead convert it to a fixed payment annuity, or to use the cash for other purposes. Premiums are especially low for younger policyholders. If you have children, you could purchase a low-cost whole life insurance policy that accumulates cash value throughout their childhood and provides a safety net as they enter adulthood. If you are of working age, whole life insurance is an excellent supplement to any term life insurance policy that you may already have. Interested in learning more about the benefits of whole life insurance? Find answers to frequently asked questions about whole life insurance on our website.